To start with – it’s actually not really about stoicism – but about overcoming obstacles. But along with other preconceptions that I held it was one of those that originally kept my away from the book. Yes to start with I thought the book was about stoicism. Since I had read quite a lot of the original stoics, I was not that compelled to read someones thoughts about them or their works. I was quite capable of forming my own opinion. 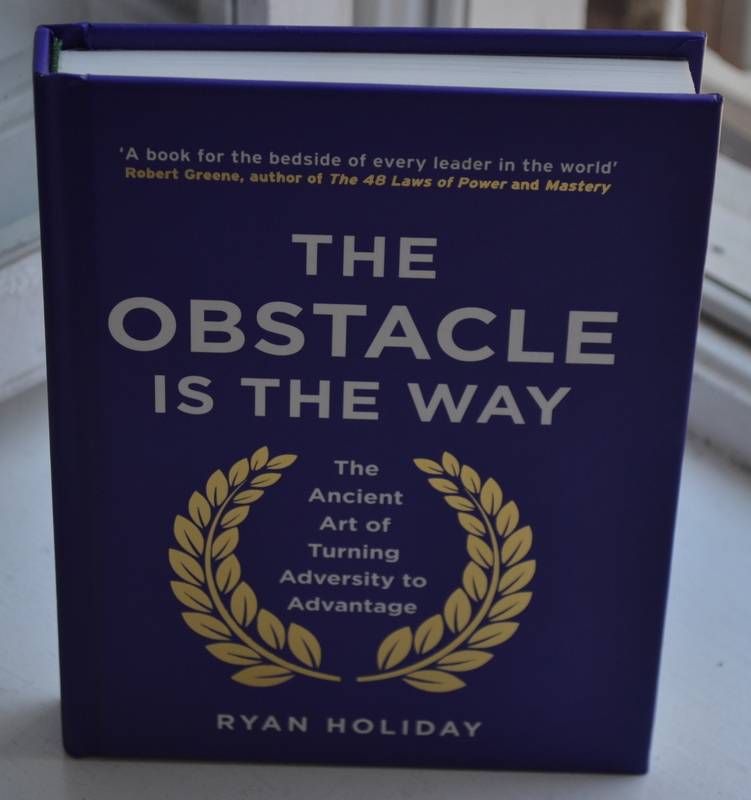 It was not that I did not like Ryan Holiday, I actually read quite a large amount of his posts and articles and really liked what I read. They resonated with me and actually also lead me to look at the book on amazon around the time when it was released. But boy was I disappointed! Only about 200 pages long – I knew the guy was a master of marketing, this to me made it seem like quite an easy attempt to make money. Write a bit about stoicism(which I thought it was about), – a topic that is gaining in popularity and then sell a lot of books based on a huge following. In other words I thought it was quite a cheap shot. I was certainly not going to buy that book. But for me, apart from being an extremely interesting podcast, it sparked my interest in actually reading Ryan’s book. It seemed to be so much more than what I had originally thought. So I went against my original thoughts and ordered it from Amazon. When I got it I was actually already in the midst of two books. I usually read two different types of books depending on what time of day I am reading, but more on that another time. But as soon as I got the book out of the box it came in, I was so positively surprised. I had expected some small slim booklet, given my knowledge of the page-count. This was an absolutely beautiful example of a hardcover book! I know this is partially unimportant, but I cannot overemphasize how positively surprised I was. This almost pulled a Apple/iPhone trick on me – even the packaging was ace. I started reading right away and was amazed from chapter one. This book is filled with good sound advice – clearly taking a lot from stoic thinkers, especially their way of presenting actionable advice. The amount of research that has gone into writing this book is crazy, it is just filled with examples of world leaders, game changers in all aspects and fun anecdotes. It is so concentrated, clear and thought-provoking that you find yourself stopping after each short chapter to make sure you really understand what you just read. Buy it fast. Read it slowly. It will change the way you think. It really proved my original preconceptions false. And how irrational it is to look at a books page-count and say “it can’t be that good if it is only 200 pages”. Quantity is such a bad measure if not combined with quality. I am really glad that I finally gave in and bought the book. It is a certainly one of the best books I read this year and I cannot recommend it enough.